It seems as if the newest health trends are mostly revolving around detoxification, cleansing and just eating an all natural healthy diet. 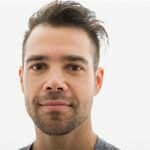 One of the foods in the forefront of this trend is spirulina, a potentially powerful super food that is very misunderstood. Spirulina is a type of algae that many of us are familiar with, as it is commonly grown in many freshwater environments. The idea of eating algae or seaweed may seem disgusting to some people, but these supplements are usually flavorless. Even then so they provide us with so many benefits that the gross factor is heavily outweighed by what spirulina can provide for us. One of the biggest risks we face in regards to our health is potential contamination or poisoning through our diet. Heavy metals aren’t just found in the foods we eat, but can be found in the water supply as well. This makes it especially important to do everything we can to eliminate these harmful toxins from our body. Spirulina has been found to be particularly effective in removing heavy metals from our systems, especially in the case of arsenic. 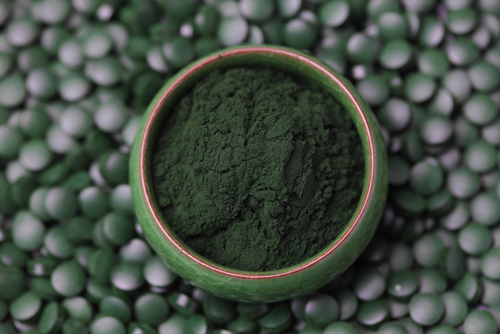 If you are someone who drinks a lot of protein shakes or are someone who is concerned about where their food is sourced from, you should probably take spirulina supplements. If you are someone looking for a supplement to help you lose weight, spirulina is an excellent choice. Spirulina is able to help you lose weight in two ways, first it is a low calorie food so it won’t give you excess calories alone. Second, it is a great source of protein, which is known to satiate hunger. Protein dense foods help us lose weight because it takes the body more energy to metabolize the protein than carbs or fats, putting the body at a caloric deficit instead of a surplus. 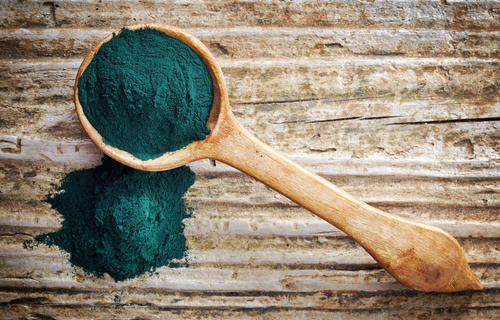 Take your spirulina supplement early on in the day to maximize these weight loss benefits. One of the biggest threats to our health is the potential risk of various cancers given how prevalent they are in the general population today. Spirulina has shown through research the ability to fight off various forms of cancer which is believed to be attributed to it being rich in antioxidants. Spirulina can do this because the antioxidants it contains helps to improve our immunity and to ward off infection and illness. Another major health risk that many of us face in the west is the risk of atherosclerosis, or the narrowing of blood vessels due to build up of plaque. High levels of cholesterol in our blood is a very serious concern because of the potential risk of developing this disease. Low density lipoprotein cholesterol(LDL) is commonly referred to a “bad” cholesterol because it can lead to the buildup of this plaque which can cause a myriad of problems in our circulatory system. Spirulina shows a lot of promise in reducing these levels of “bad” cholesterol based on studies conducted so far. The research is very promising in that it has shown that the more you eat, the more bad cholesterol is reduced! It seems that more and more cases of irritable bowel syndrome and other types of digestive allergies have been cropping up over time. Many of these problems are believed to be linked to our diets, and how a poor diet can absolutely destroy the flora in our gut. The bacteria in our digestive tract is what does most of the chemical digestion down there, and if there aren’t enough good or probiotics, the “bad” bacteria can overpopulate our guts, causing indigestion, gas diarrhea and other digestive problems. Not only that, but the growth and propagation of these bad bacteria can spread to other areas as well, most commonly seen on our skin in the form of candida. Candida is just another term for a fungal growth, which is a very common fungal infection many people experience. Our diets which are rich in sugar and simple carbohydrates help to fuel the growth of this fungus throughout the body. Spirulina can help to prevent this by promoting the growth of the beneficial bacteria in our gut, which doesn’t allow for the growth of candid instead. 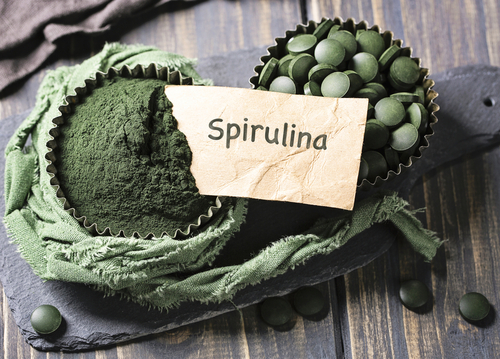 On top of that spirulina provides benefits to our immune system, which further helps to eliminate this infection.